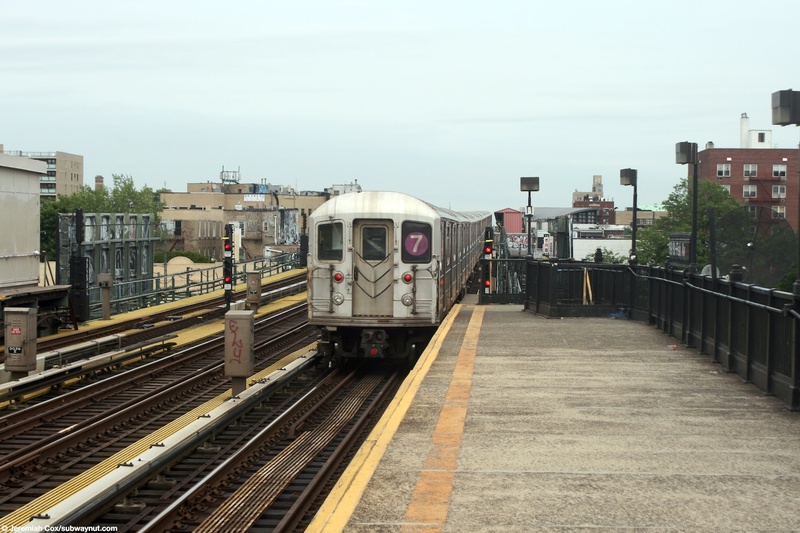 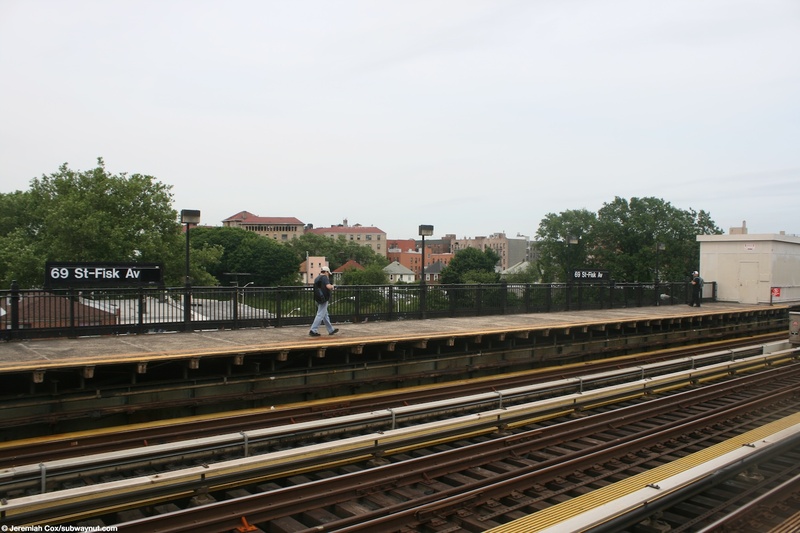 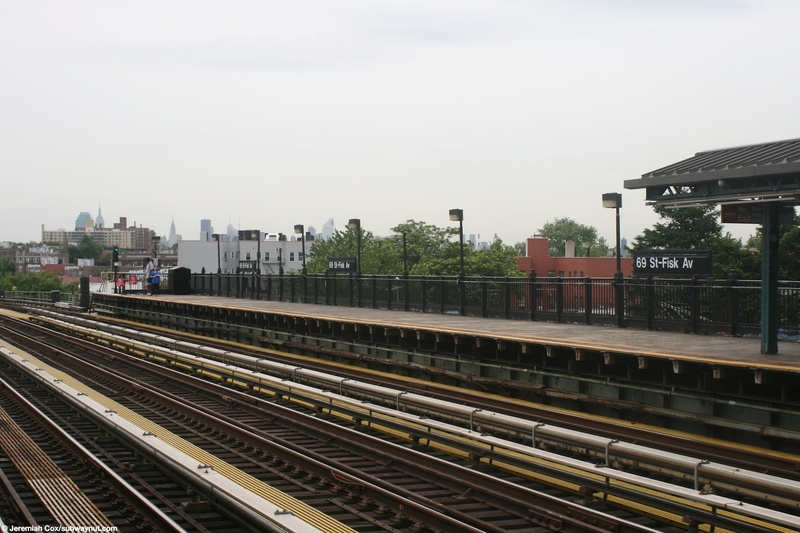 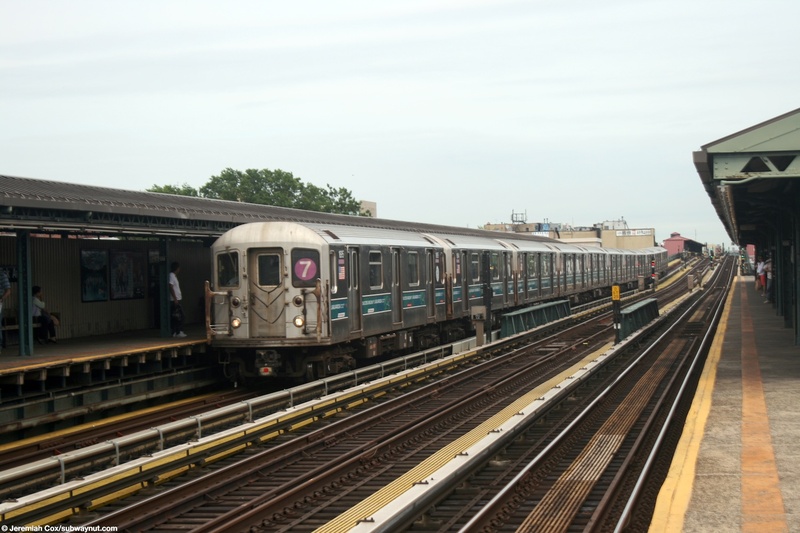 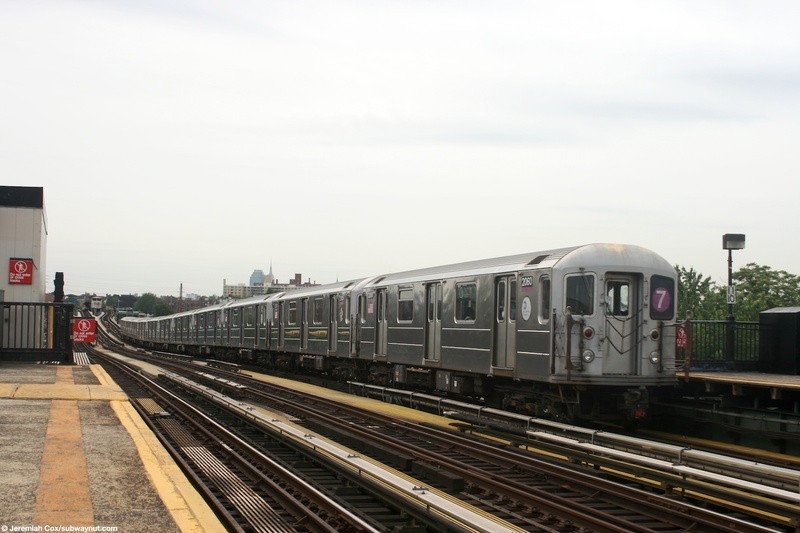 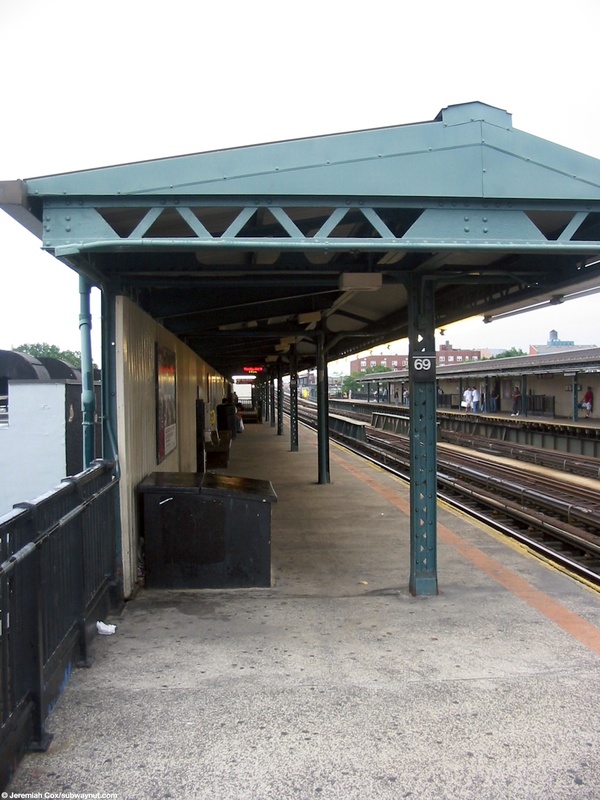 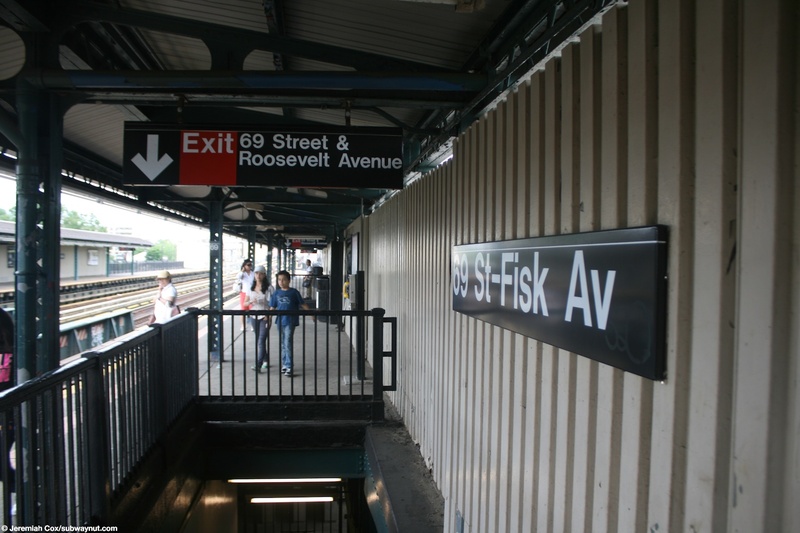 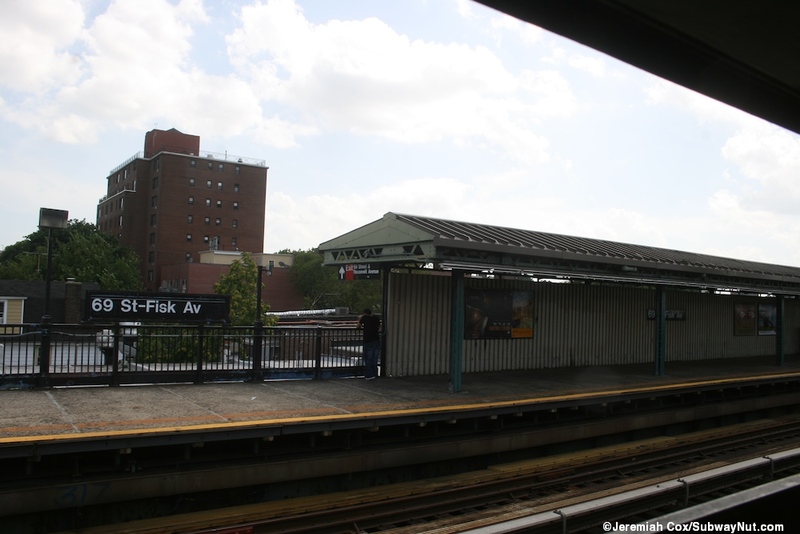 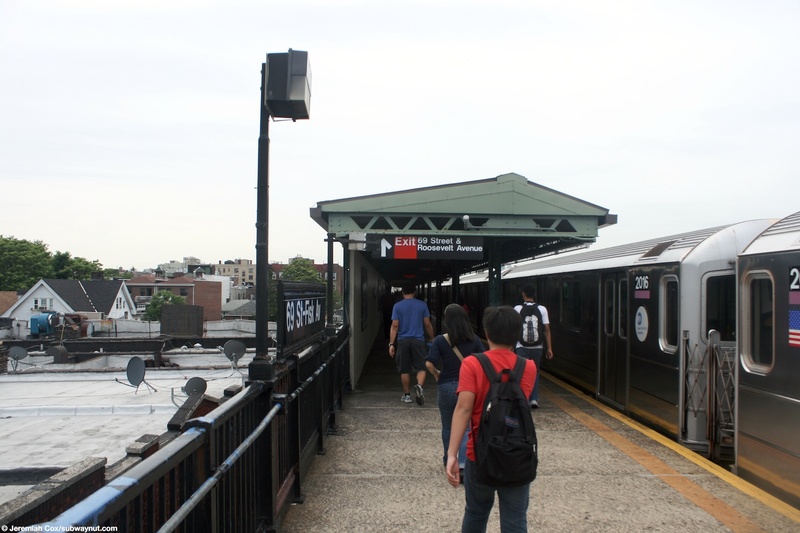 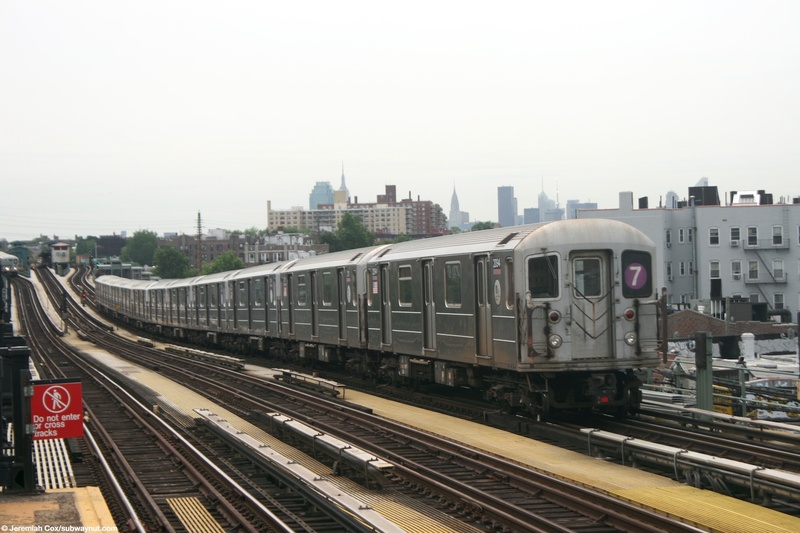 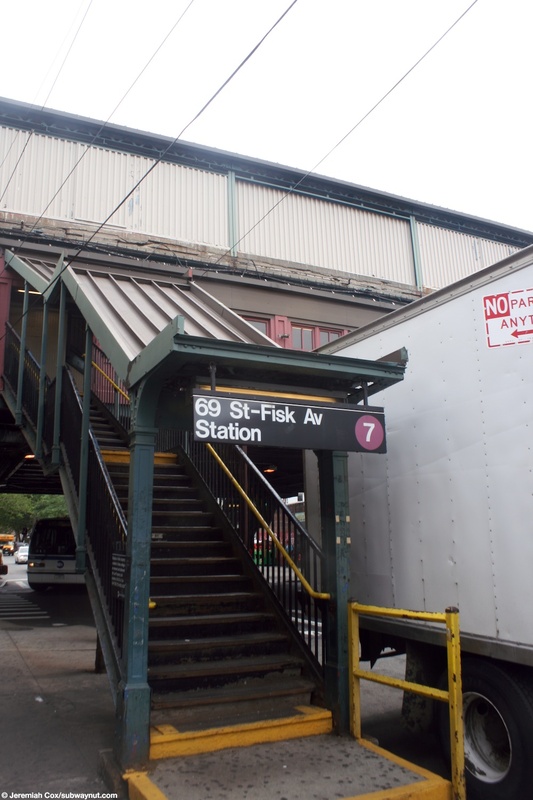 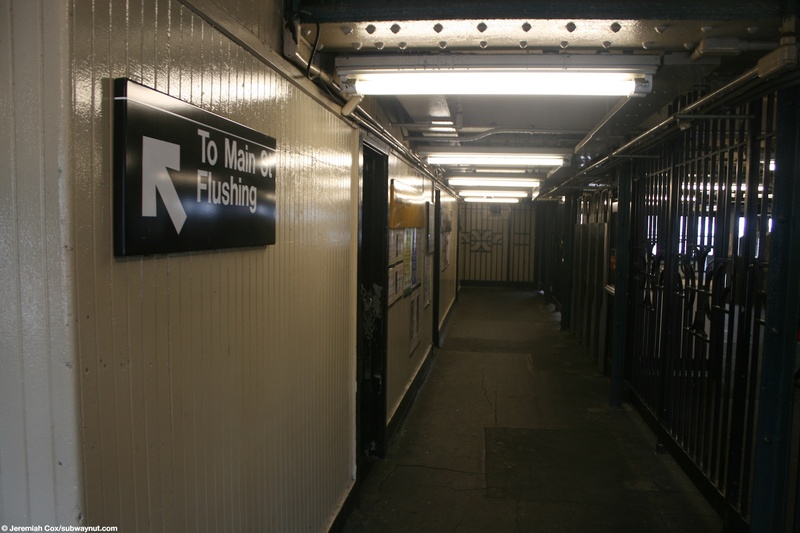 69 Street-Fisk Av is a standard Flushing Line local station with cream colored windscreens and platform canopies over the middle of the two side platforms (for three tracks) and the ends of the platforms left exposed with just a low-black fence. 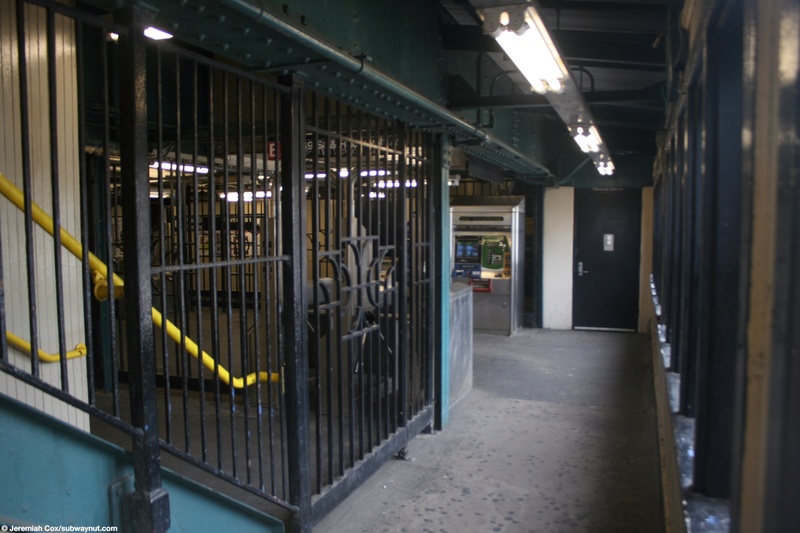 For access each platform has two staircases that lead down to a small mezzanine area. 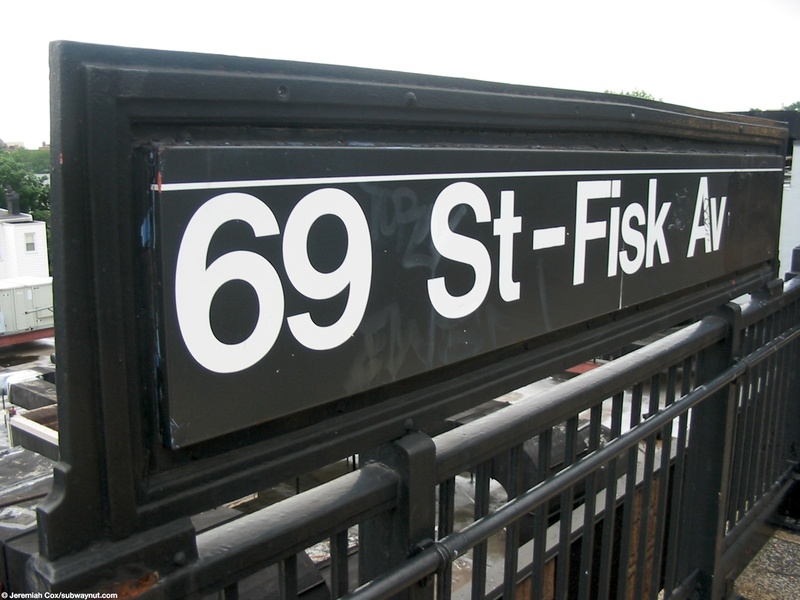 This area is split. 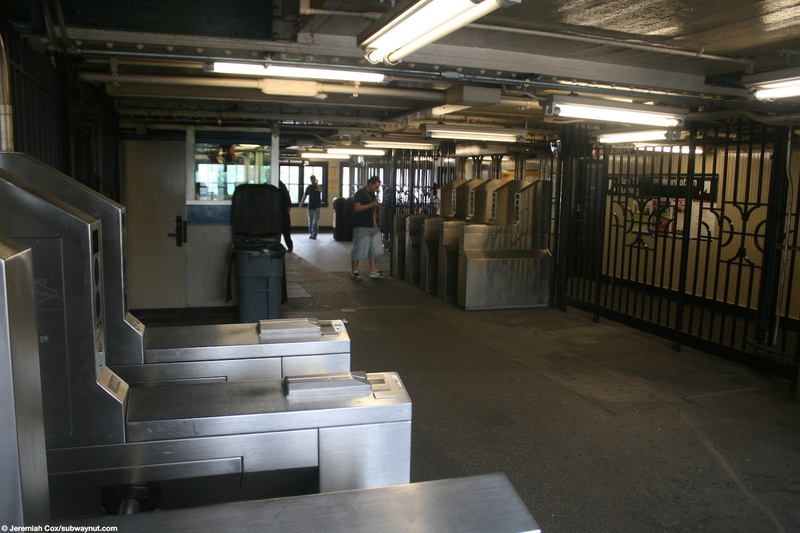 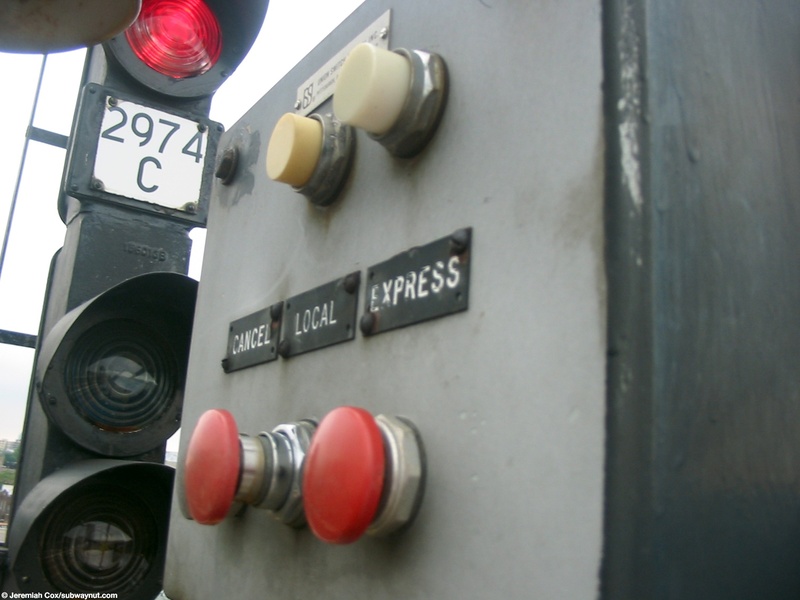 With two separate banks of turnstiles (one per set of staircases, one each from each platform), this allows there to be a free crossunder while also a crossover outside of fare control. 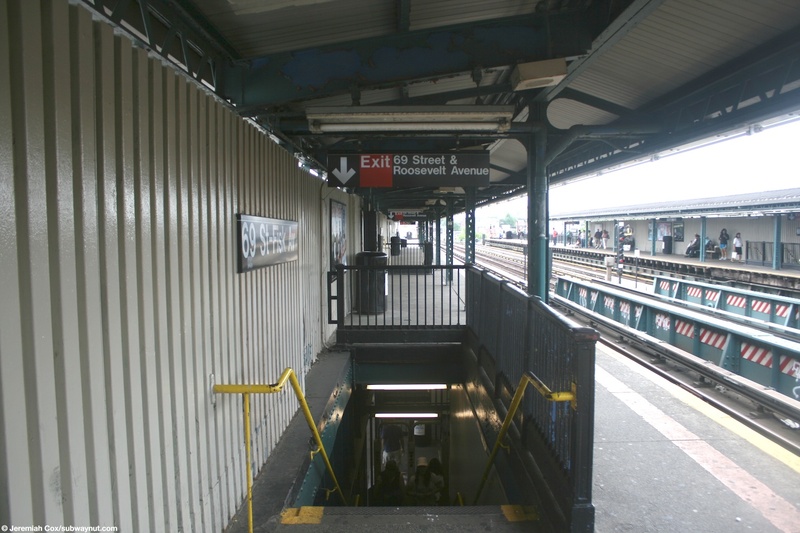 Street stairs lead down to the NE and SW corners of 69 Street and Roosevelt Avenue.